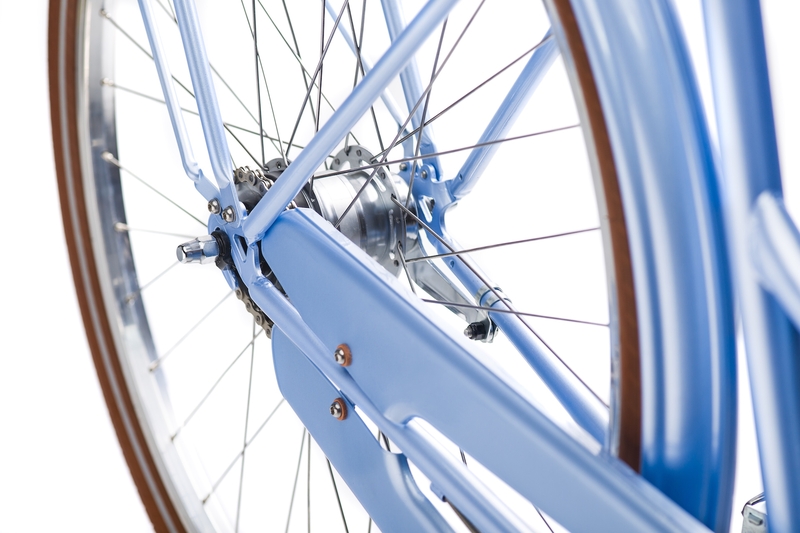 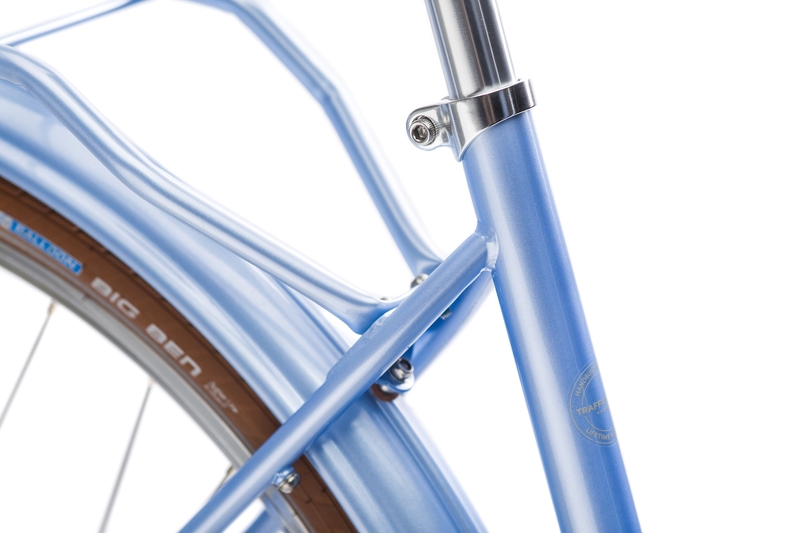 The beautiful Holymoly Doppio Lady features a unique shaped step-through frame that makes mounting and dismounting effortless. 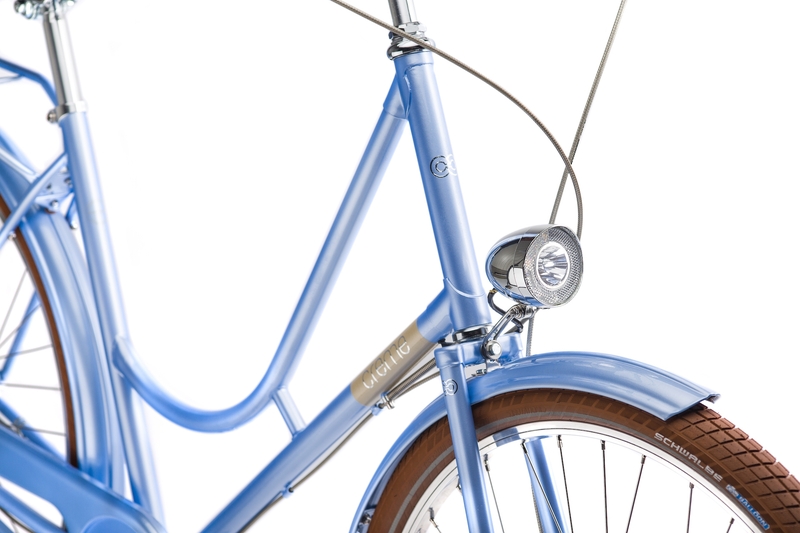 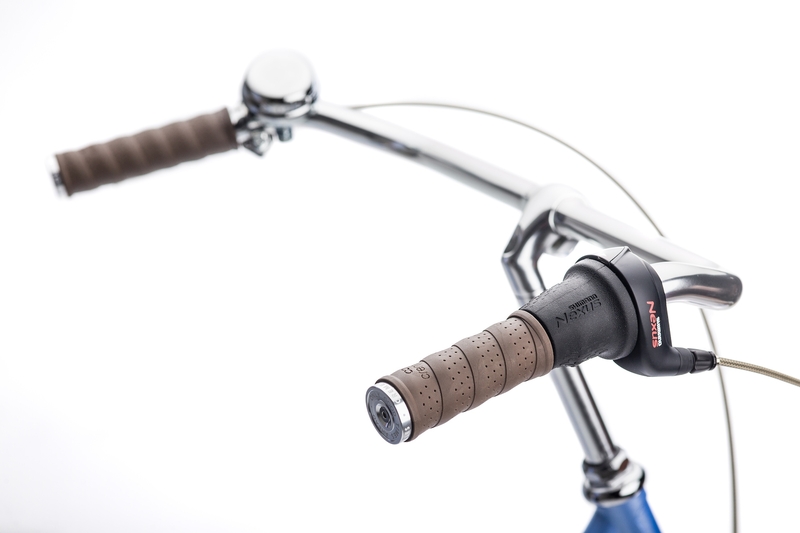 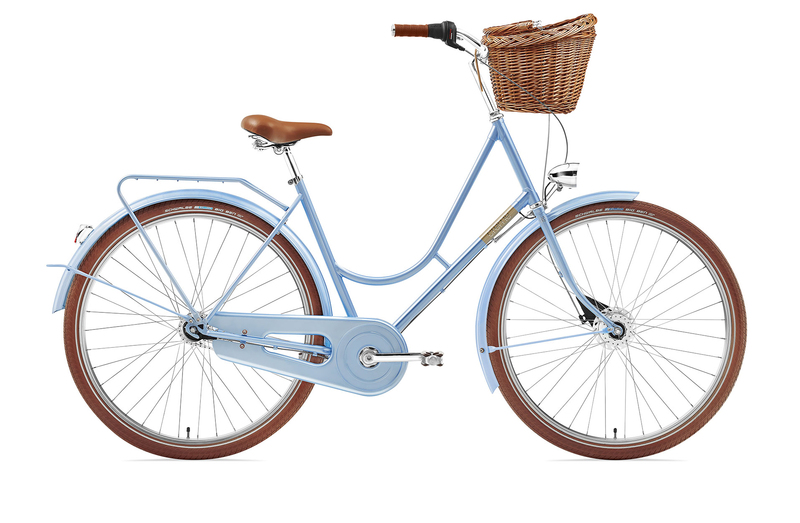 It's fitted with a 7 speed internal hub and high-end dynamo powered LED front and rear lights. 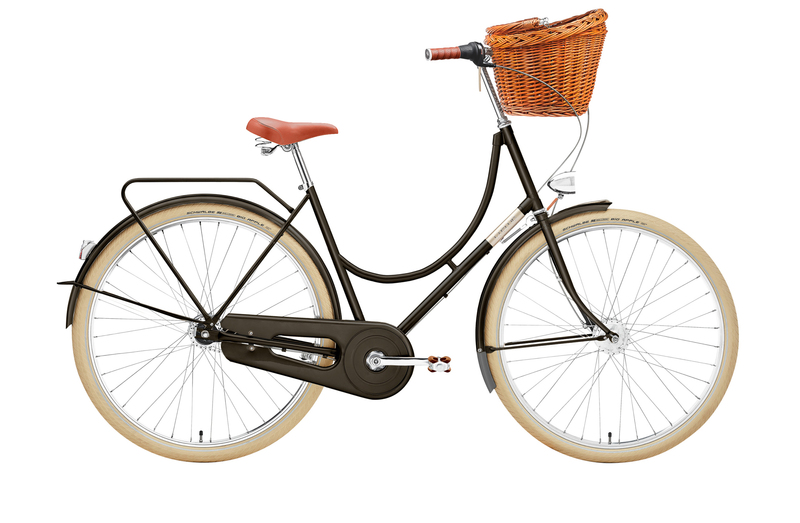 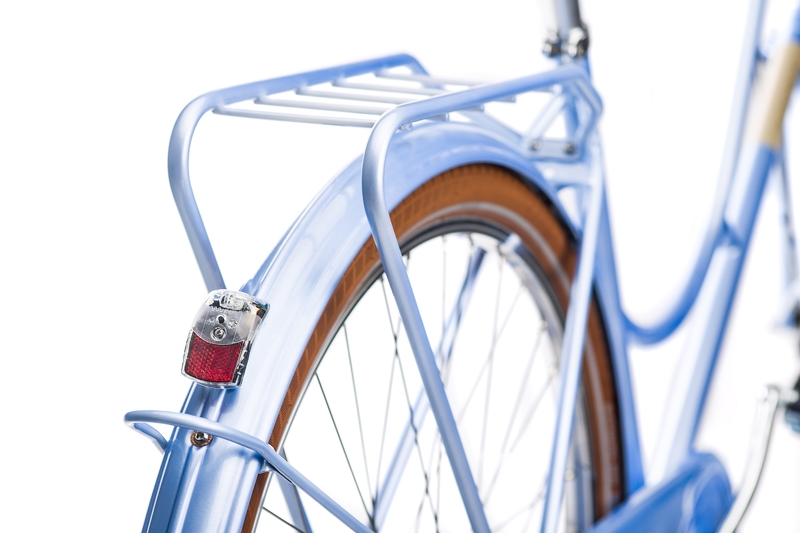 A wicker basket (woven in Poland), beautiful Creme rear rack and array of chrome plated components complete the package.